We mourn the passing of Dr. Wagner on April 27, 2014 and send our deepest condolences to his family, friends, and colleagues. Marsden Wagner received his MD from UCLA and went on to earn an advanced scientific degree in perinatal science. After serving as faculty at UCLA and practicing clinically, he spent fifteen years as Director of Women’s and Children’s Health at the World Health Organization. He was the author of many scientific and popular articles and books. The best-know was Born in the USA: How a Broken Maternity System Must Be Fixed to Put Women and Children First, in which he called attention to the dangers of using Cytotec (misoprostol) as an induction agent during trial of labor after a previous cesarean section. He testified as an expert witness on maternity care before the United States Congress, the French National Assembly, the British, Italian, Danish, and Israeli parliaments, and consulted with numerous governmental and non-governmental organizations. He was widely known and esteemed as a friend of midwives. 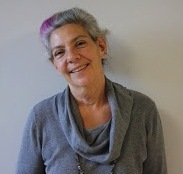 Barbara Katz Rothman received her Ph.D. in Sociology from New York University and is currently Professor of Sociology, Public Health, Disability Studies, and Women’s Studies at at the City University of New York. For over three decades, she has studied the subjects of midwifery and birth. She is the author of many works examining pregnancy and childbirth, including In Labor: Women and Power in the Birthplace, and her influential essay, “Spoiling the Pregnancy: Prenatal Diagnosis in the Netherlands.” She is the recipient of the “Midwifing the Movement” award from the Midwives Alliance of North America. Visit her website: www.barbarakatzrothman.com. Robbie Davis-Floyd received her PhD in anthropology from the University of Texas and currently serves at that institution as Senior Research Fellow. Her own traumatic birth experience spurred her to study the birth experiences of one hundred women, a process that ultimately led to the publication of her seminal book, Birth as an American Rite of Passage, and her interest in the anthropology of reproduction. She has published and lectured extensively on the topics of women-centered pregnancy, childbirth, obstetrics, and midwifery. In 2009, the North American Registry of Midwives presented her with an award for fifteen years of service to NARM and to American midwifery. Visit her website: www.davis-floyd.com. 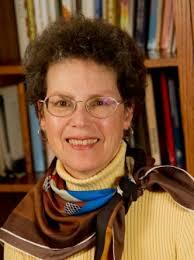 Henci Goer is a researcher and author in the field of evidence-based maternity care. Her 1999 book, The Thinking Woman’s Guide to a Better Birth, is a favored resource for women seeking a physiologic birth, while her 2013 book, Optimal Care in Childbirth: The Case for a Physiologic Approach, earned the “Best Book of the Year” by the American College of Nurse-Midwives. Her long association with Lamaze International includes regular guest contributions to the Lamaze blog Science and Sensibility. Visit her website: www.hencigoer.com. Barbara Harper is the founder of Water Birth International, an organization dedicated to educating women about gentle, undisturbed labor and birth in water. Her passion for the care of mothers and babies originated with her observations of her grandmother, a nurse and midwife, and continued in her own career as a nurse. Extensive research and experience in the field led her to publish the book and DVD, Gentle Birth Choices. She currently travels the world lecturing at universities, midwifery programs and conferences, in addition to providing waterbirth certification for birth providers. Visit her website: www.waterbirth.org. Raymond de Vries is a medical sociologist and bioethicist with broad experience in the study of maternity care systems and the comparative study of health care systems. 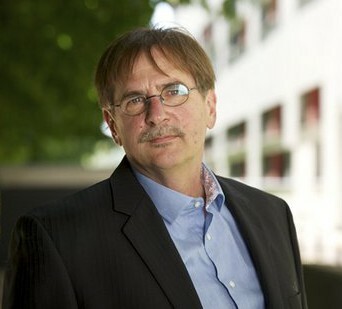 He holds professorships at the University of Michigan and at Maastricht University. He is widely known for his analyses of the organizational and cultural influences on obstetrics and midwifery. In his 2005 book, A Pleasing Birth: Midwifery and Maternity Care in the Netherlands, he examines the effect of social forces on the way maternity care is delivered. He recently co-edited a special issue of the Journal of Clinical Ethics on the ethics of choice of birthplace. His 2001 collection, Birth by Design: Pregnancy, Maternity Care and Midwifery in North America and Europe, was the product of the work of a collaborative team of international scholars focused on the comparative study of maternity care systems. His early book on midwife licensure was updated and republished in 1996 as Making Midwives Legal: Childbirth, Medicine, and the Law.